Vicki Stone is the owner of Village Design Group and a licensed general contractor. VDG is a full-service interior design center and showroom that began in 1982 as Pinehurst Interiors and features a team of several highly experienced interior designers. Village Design Group expanded its facilities and design resources to open a 12,000 square foot showroom in Southern Pines in 1991. Inside, you will find beautiful furniture, gorgeous lamps, designer fabrics, flooring, carpet, kitchen & bath cabinetry, wallpaper and accessories. Village Design Group also provides wholesale trade accounts to registered interior designers nationwide. As both owner, contractor and interior designer, Vicki enjoys working on both residential and commercial projects. She holds a Masters degree in Design Technology from the University of Pittsburgh and a BS degree from Texas A&M University. She and her husband, Mike, also have a long history of home renovation and are experienced in most every aspect of construction and remodeling. These skills are invaluable when assisting clients in kitchen, bath and general home re-construction. As a NC licensed General Contractor, Vicki offers her clients interior design services, but also the construction and remodeling side as well. She has developed a highly professional group of subcontractors and associates that assist her in both light and extensive remodeling of all types of properties. 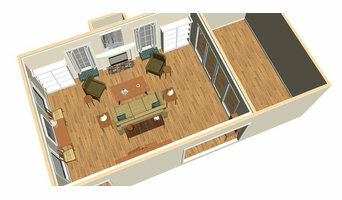 She is skilled with 3-D computer software which she uses to assist clients in visualizing construction plans, remodeling ideas and furniture placement. After working as an interior designer at Village Design Group, Vicki purchased the company in 2007. The Design Center continues to flourish in the community and beyond to include one of the largest and most professional design groups on the East Coast. Vicki continues to focus on commercial and residential design projects and enjoys every opportunity to meet new clients and be creative. Let's create beauty and function, but most importantly, let's fashion an interior that defines you! Breanne Medlin graduated from Meredith College with a Bachelors of Science in Interior Design and got her start with interior design as an intern at a residential and commercial design firm located inside the belt-line in Raleigh. After graduating, she became a junior designer at the firm. A year later, she took a job at a local flooring and lighting showroom where she worked mostly with builders and new homeowners in the selection process. Breanne has designed several Parade of Homes in Raleigh including homes with Gray Line Builders and Innovative Construction Group. In 2015 doors opened to start her own business Open Gate Interiors, a design firm in Apex, NC. She serves her clients with attention to detail and a creative approach to design that fully encompasses their personalities and style. Offering turn-key services, OGI is a one-stop shop making it stress-free and easy to start your next home project! Breanne specializes in space planning and remodels. Give her a blank slate and let the creativity process begin! She loves a great antique find paring with contemporary prints and accessories to create an eclectic space. 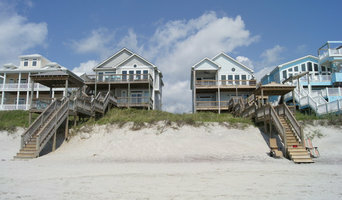 A North Carolina-based, Sustainable Design/Builder for all your quality, custom-home remodeling needs. Expert builders and fine artist team performing innovative, energy efficient, and affordable Green Construction for over 25 years. Solar Wind Designs (SWD) specifies green/sustainable, energy efficient building techniques in the design phase of each project. The basic requirement for any device or building technique has been that any additional cost above standard construction must be paid back in a period of 4-5 years or less. SWD has been involved in building and installing these devices and techniques from the business’ inception, over 20 years ago. Specifications are optimized for low toxicity, sustainability, lifecycle costs, recycled content, local source of origin, and inherent energy efficiency. We use “closed loop: sustainable building practices. The ideal is to create a near zero-waste supply chain that completely reuses, recycles, or composts all materials. Materials salvaged during the demolition phase are routinely recycled back into new construction whenever possible. Water based low toxin finishes, caulks, adhesives, paints and stains are used routinely by SWD in all phases of construction. Veneered plywoods are green or sustainably sourced to avoid toxic outgassing and ensure products come from verified sustainable forests. SWD strives to ensure that its products and projects have the lowest environmental impact possible. When selecting materials for SWD’s cabinet shop, the “greenest” products are always prioritized. 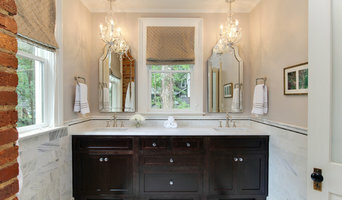 SWD performs high end residential remodeling and built-in cabinetry for mid-range prices. We now also specialize in furniture restoration, custom furniture design and fabrication, and fine furniture finishes. SWD’s clients are always impressed by the superior quality they receive for the cost. We help you to create home interiors that tell your story. Clear-Vue Glass opened as an independent auto glass business in 1963. Today Clear-Vue Glass is owned and operated by the founder's son, Gary Mason and his wife, Leslie. Together they have led the company in a new and exciting direction, while keeping the best of the past: Clear-Vue's excellent reputation, service, and expertise. From the shop’s convenient location in the heart of Durham, Clear-Vue Glass serves residential and commercial glass customers throughout central and northern North Carolina in Alamance, Chatham, Durham, Granville, Guilford, Lee, Orange, Person and Wake Counties. Clear-Vue Glass is widely recognized as a leader for architectural and decorative glass products, for its service, selection and expertise. Homeowners can purchase a wide selection of custom residential glass products for kitchens, bathrooms, showers, entry areas and living spaces. Commercial clients have a variety of products and resources to draw upon for signage, partitions, work surfaces and more. Every Clear-Vue Glass customer benefits from the team’s guidance and years of expertise. In the Durham, Raleigh, Chapel Hill, Triangle area, Clear-Vue Glass is the leading source for the design and installation of residential and commercial glass products. Full Service Residential Interior Design Company. Sew Fine II is a full service design firm founded in 1988. Our talented staff can guide you in making your decorating decisions and offer you the best products to reflect your taste and style. We offer custom window coverings, furniture, wallpaper, area rugs, bedding, accessories, and design consultation. Our design studio is located in Sutton Station and and we are a centurion Hunter Douglas Gallery.